The G1W (aka GS108) is a very well made dashboard camera in the affordable price range. Released early-2013, it’s a Chinese dash cam that records some seriously good videos at 1080p (Full HD) resolution @30 FPS. It’s based on Novatek NT96650 chipset and uses Aptina AR0330 lens for recording. When it comes to video clarity, G1W beats many other dash cams in the same and even higher price-range. 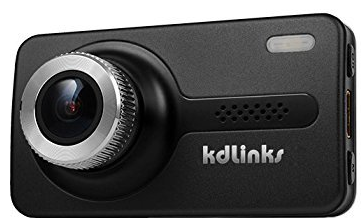 The day time video quality is impressive and the recorded video is very clear, however, during low light conditions, the video starts to become blurred, but is still better than many dash cams (See Sample Videos). It’s got all the basic features that a dash cam needs, such as, date and time stamp in video, G-sensor, loop recording, auto on/off etc. GPS & WiFi aren’t available. G1W supports up to 32 GB memory card and viewing angle is 120°. There’s a 2.7” display screen that increases the size of G1W, but dash cam’s black color maintains the stealth. There’s a silver ring around the lens that attracts unwanted attention, thankfully this ring is removed in the G1WH model. 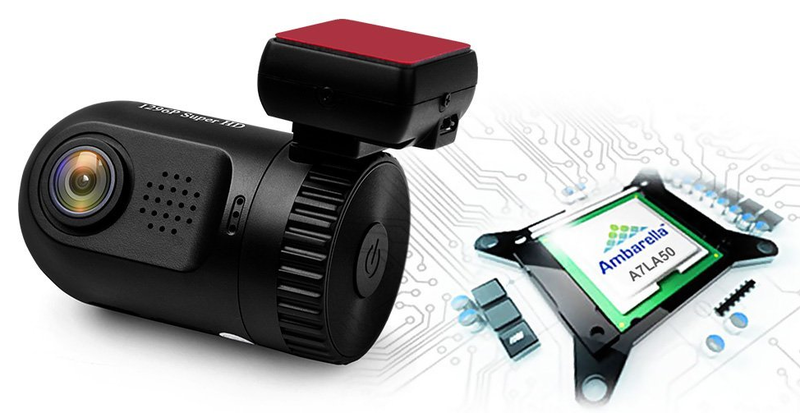 The G1WH model is an upgraded version of G1W dashboard camera. However, the difference between the two is very little. With G1WH you get 140° of viewing angle, whereas in G1W you get only 120°. The “H” in G1WH means “hidden” because G1WH is all black and has gotten rid of that unwanted silver ring around the lens. Another important difference is the price, the G1WH is tad expensive than G1W, $3 (approx.) at the time of writing. The G1W-C dashboard camera is another upgrade to the G1W model. A big thing upgraded in G1W-C is the use of capacitor rather than batteries as alternate means of power. Usually, dash cams have batteries when it comes to being self-powered, this ensures that the dash cam saves the current recording and shuts down properly in an event of abrupt power failure. But using batteries has its own disadvantages when it comes to weather. During summer days, the inside of your vehicle get really hot, if you park your vehicle in the sun, and there’s a good chance of dash cam’s battery exploding due to overheat. Furthermore, as time passes, the charge retaining capacity of a battery reduces and sooner or later it becomes useless. On the other hand, capacitors are proven to resist heat and overheating in a much better way than batteries and they tend to have a much longer lifespan. Hence it’s always good to buy a dash cam that uses capacitor rather than batteries as alternate means of power. Another thing that’s upgraded in G1W-C is the microphone’s location. It really has become considerably better. All in all it’s a very good dashboard camera and must be in your buy list. However, do have a look at Mini 0801 which is “the best dash cam” within this price range. As we’ve mentioned earlier that the day time video quality of G1W is really awesome. Just have a look at the amount of detail and clarity that this cheap dashboard camera captures. It really beats some of the expensive dash cams out there. As evident from the video, the night time quality of G1W is pretty good. You can read license plates etc. even from some distance. It again beats some expensive cams. You can download the G1w user manual here. G1W-H’s user manual can be downloaded here. 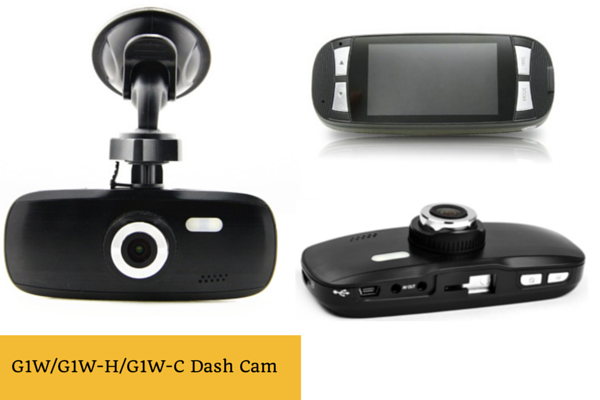 As a final point, all we can say that the G1W/G1WH/G1W-C are really very good dash cams. They are an ideal choice for anyone who wants to have simple and reliable dash cam that records very good videos. Priced (Amazon US, at the time of writing) G1W ($65), G1WH ($68) and G1W-C ($75) we believe that this one of the best bangs that you get for your buck.